As car drivers, we routinely deal with all types of maintenance. From our tires to breaks to oil changes, we all know we need to stay on top of these things to keep our cars in the best shape. However, even people who keep their as up to date as possible still need to deal with the task of replacing a car battery. It's normal to have to replace your battery one or two times in your vehicle's lifetime. Even with regular charges, a battery will ultimately lose capacity and not be able to start your car. However, to reduce the frustration of having your battery give out on you more times than necessary, it's essential to pick out the right replacement in the first place. To help you keep your vehicle in working order, we've compiled our guide to the best car battery brands you can choose. Power. Just like regular batteries come in different energy levels, so do car batteries. Our top picks all have high ratings when it comes to reserve capacity and cold cranking, meaning that they have the best level of starting power to kick your car into gear reliably. Lifespan. Since you don't want to end up with your car refusing to start when it's least convenient, you'll also want a battery that lasts for as long as possible. Frequent high temperatures and regular short trips without time to recharge are tough on batteries, too. The longer the lifespan, the more time your battery will support the car. Warranty. 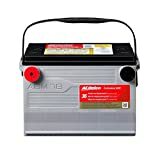 Free replacement of a car battery is one of your most significant assets since you don't have to make an emergency purchase if it dies within the warranty period. All our top picks have extensive free and prorated warranty lengths, making it easy to get back on the road. Now that you know what we look for, here are the best car battery brands on the market. The DieHard brand comes from Sears—and it's easily one of the top battery choices on the market. When in development, manufacturers wanted to make a battery that could outlast the car. It may not always make it that far, but a DieHard product will have a substantial lifespan behind it without question. To give this brand even more plus points, it's also suitable for dry and cold weather conditions. The price range for its products all fall under the $200 price point, and the AGM type means that they'll do well when it comes to high-demand vehicles. DieHard provides medium, heavy, and premium lines, and Sears even offers a 3-year full replacement warranty. For a high-performance brand that passes all form and level of quality tests, you can count on AC Delco. Because of the excellent specs of their products, an AC Delco battery is very unlikely to have problems. The reservoir is quite large, so the charge lasts for years. The terminals are also corrosion free, which makes one less thing to worry about when it comes to your vehicle. AC Delco does offer a warranty, though it's not as extensive as some others. However, since their products are so high-quality, you may not miss that lack of coverage. 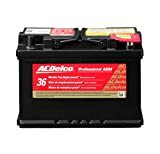 When it comes to value, AC Delco is a great brand to consider as you can get a high-performance car battery for an affordable price, especially from their six series. If you don't mind laying down the cash for a long lasting and quality battery, then Optima may be your best bet. One thing that sticks out about these batteries is the design. Unlike other brands, which have a box-shape, Optima batteries have a cylindrical look. While this may seem like a cosmetic choice, it's a definite benefit for your vehicle; Optima cells have their spring coil that helps its durability. Also, these batteries have the lifespan to be more than worth the cost. Optima's red top design can last up to eight years, which is perfect if you want to put the battery in your vehicle and not worry about it. The yellow top series is also very suited for people who have a lot of accessories or accidentally leave the lights on – it doesn't take damage from sustained use situations like starting batteries do. Exige produces some of the most heavy-duty car batteries on the market. These products can stand up to extreme heat and cold, starting up without any issues. They also have complete sealing along all ends, preventing the possibility of any dangerous battery spills or leakage in unfortunate circumstances. Exige's batteries can be a little heavy, but they come with handles. This addition makes it much easier to tote the battery around, especially if you're installing it yourself. Exige makes products that are suited for those with SUVs, trucks and even hybrid vehicles, and they have more than enough power to get your car started, no matter the weather. Odyssey car batteries are one of the best choices for those who need heavy-duty performance. Those who operate power-hungry equipment or routinely drive off-road will appreciate this brand's dedication to strength and durability under demanding conditions, which far outclass conventional batteries of the same type. One of their offerings from the Extreme series is particularly suited to these conditions, offering fast, complete recharge and flexible mounting. Other great features include the capability to be in open circuit storage for up to two years, even without charger support. The four-year replacement warranty is also impressive, protecting you from premature failures. We've already covered our top picks for the best car battery brands, so now it's your turn to take your pick. In addition to keeping an eye on the power, lifespan, and warranty of the product, here are some other tips that can help you make the best purchase. A battery can be as powerful as it wants, but it won't do your car much benefit if you get the wrong fit for your vehicle. Be sure to check the size, terminal locations, and connection type of your vehicle's current battery before making a replacement, purchase. You can easily find this information in your vehicle's maintenance guide or from a car repair shop or mechanic. You should also consider your regular driving conditions. Batteries often are more suited to hot or cold climates, so pick one that suits your environment. Accounting for your ordinary driving conditions, such as if you go off-road or not, is also important when selecting a battery that will hold up to what your vehicle experiences. Some batteries require regular maintenance to remain operational, while most ones on the market these days don't require any attention at all. It's likely that you don't want to have to worry about your battery more than you need to, so purchasing a maintenance-free unit will help you avoid potential problems. Lead-Acid. Lead-acid batteries are the standard type and what you'll most likely consider purchasing. These products tend to require little to no maintenance. They also tend to cost less than their counterparts. However, lead-acid batteries don't handle deep discharges well, and their lifespan tends to be shorter. Absorbed Glass Mat (AGM). In contrast, AGM batteries can handle deep-discharge much better and even have a chance of recovering from accidental drainage. They do most much more than lead-acid models, but they're steadily becoming more standard equipment as cars take on more electronic-oriented features. Both types will serve any vehicle well, but you'll want to be sure that you keep your battery suited to your car's needs. If you already have an AGM unit, it might not be in your best interest to switch to a lead-acid model as a replacement. Even when a battery hasn't made its way into a vehicle, it can still lose power. Sitting on a shelf in a store for a long time isn't a good sign. 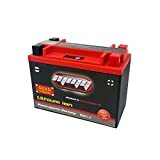 All batteries specify their year and month of manufacture, which you should check before making a purchase, and, in this case, the fresher, the better. You want to pick out want that's been available for more than six months. Many higher-end batteries will be more expensive, especially those specialized for severe weather and driving conditions. However, you don't need to rule out a brand just because it doesn't have the same price tag as others. You're not guaranteed to get a low-quality product if you don't fork out the cash, just the same as spending money doesn't mean it'll be worthwhile. While your available budget will no doubt factor into your decision, don't let cost be the defining factor of which battery you select for your vehicle. Focus on the other buying tips and our top picks to narrow down your choices, then use price as a determining factor if necessary. 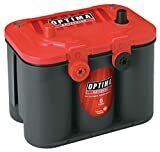 All our recommendations are contenders for the best car battery brand, but we have to give it to Optima for their diverse range of power levels, effective design choices, and all around lifespan. These elements bring out what's great in a car battery, and will serve your vehicle well when the time comes for replacement. As a runner-up, we also like XS Power's offerings, as they bring out a lot of the best features when it comes to lifespan, warranty, and durability in harsh roadway conditions. If you're willing to pay a little more for an AGM battery over a lead-acid model, then XS Power serves as a worthwhile investment. A lot of the frustration of needing to replace a car battery is easily avoidable when you make a smart purchasing decision. Now that you've made it through the article, you have all the essential information to find the best brands and pick out the right replacement battery for your vehicle.